… pack over 10,000 meals for Stop Hunger Now. The Middle School service club, SRDS Cares, began when a student wanted to give back to the hospital where he received treatment for leukemia. The club has raised money for several causes, including Stop Hunger Now. Students packed over 10,000 meals to be distributed all over the world. 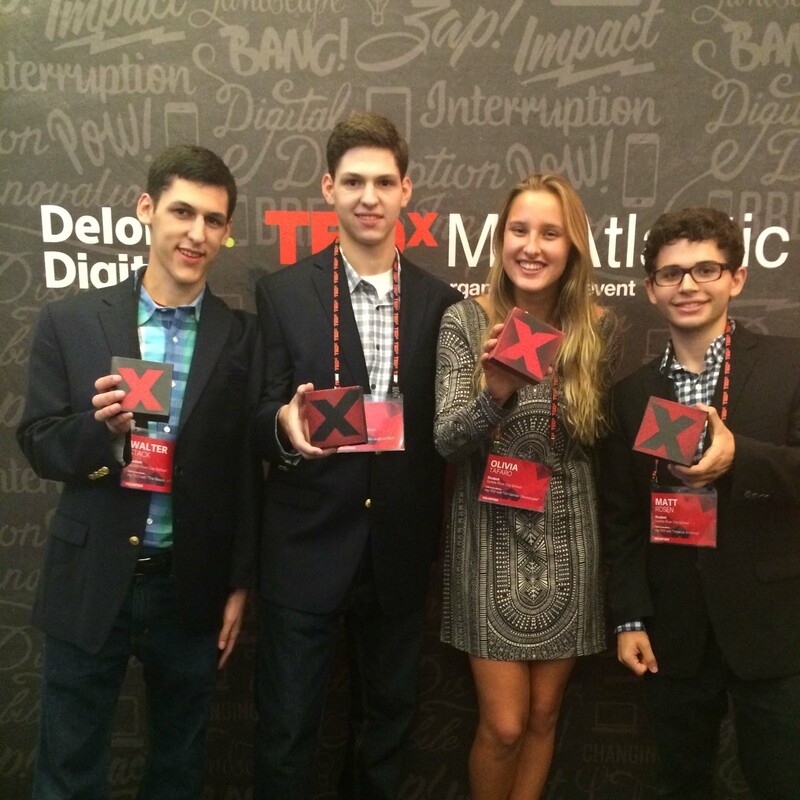 … bring TEDxYouth to SRDS. Upper School students led the charge to establish a TED-Ed Club at SRDS. They research, write, record and upload videos of their own TED talks. The group is organizing a TEDxYouth event, where they will present their talks in a formal TED-style setting. 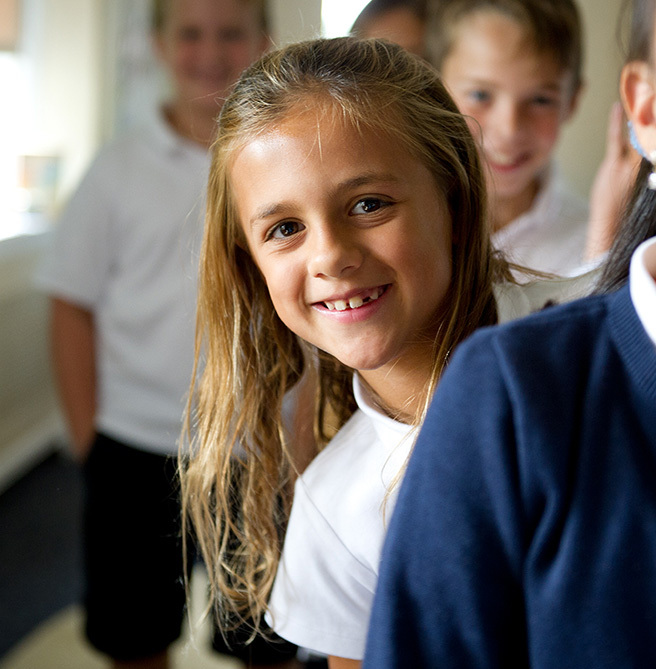 Our Lower School features a rotating selection of clubs for students to choose from every other month. A few options include Sketching, Chess, Circuit Training, Robotics, Science, Origami and Etiquette. Main Hall certainly looks the part, with warm wood floors, fireplaces in classrooms and snow boots lining the hall in winter. But what makes SRDS truly feel like “home” for children from Pre-K through grade 12 and their families is the genuine sense of community. Saddle River Day School is an extraordinary kind of community—one where Chef Mark will recreate a special dish on a student’s birthday from a grandmother’s recipe. Where teachers give up their lunch breaks to work one-on-one with students. And where students and teachers bundle care packages for new alumni starting their first year of college. It’s also a place where educators and parents join together to make great ideas happen, where priorities are determined by educational outcomes—not by standardized tests or budgets—and where, above all else, we do whatever’s best for the kids. At graduation, parents and teachers look on proudly as seniors take the stage as caring, ethical citizens who have made the transition from students to scholars. We’ve carefully curated our Lower School curriculum, which includes a science program developed by the Smithsonian Institution, a Spanish program that emphasizes speech first and a math program that focuses on mastery rather than memorization. Our goal is to encourage each child’s sense of curiosity and explore basics that set the foundation for higher learning. Lower School students have Middle School “pen pals” and Reading Buddies who help make the Middle School feel more familiar. The Middle School dean also comes to talk to fourth-grade students toward the end of the year about what to expect as fifth graders. At the Middle School the study of core subject areas is interwoven, with skills and content crossing disciplines. Our STEAM initiative integrates science, technology and engineering with art and mathematics. We focus on building essential skills such as critical reading, time management and reflection. The academic program expands to include more options in the arts, language and mathematics. Advanced students may take classes with older students if deemed appropriate by their teachers. As juniors and seniors, students enroll in a weekly college counseling workshop with our full-time counselor, who guides them as they choose their top schools, complete applications and prepare for interviews. Though SRDS is small, our graduates don’t shy away from applying to large universities. Their experience as active participants in every class makes them confident. In addition to the rotating club offerings at the Lower School, the Middle and Upper schools offer several student clubs.